We are used cars dealers in Kolkata. We deals in Maruti cars, Honda cars, Hyundai cars & all types of second hand cars. We are used cars dealers in Kolkata & we deals in all types of second hand cars. We are used cars dealers & we are dealing in Maruti cars, Honda cars, Hyundai cars & all types of second hand cars in Kolkata. We are providing you best used cars in Kolkata. We are HDFC Used Cars Dealers in Kolkata dealing in all types of used cars such as Honda used cars, Hyundai used cars, Maruti used cars etc. 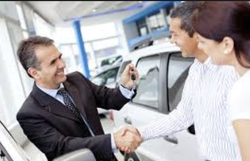 We are used cars dealers in Kolkata. We are dealing in Maruti cars, Honda cars, Hyundai cars & all types of second hand cars. We are used cars dealers in Kolkata. We deals in all types of second hand cars. We are Used Cars Dealers in Kolkata dealing in all types of used cars such as Honda used cars, Hyundai used cars, Maruti used cars etc. of best quality. We are used car dealer in Kolkata. We deal in Maruti cars, Honda cars, Hyundai cars & all types of second hand cars. We are Chevrolet Certified Used Cars Dealers in Kolkata dealing in all types of used cars such as Honda used cars, Hyundai used cars, Maruti used cars etc. We are used car dealer in Kolkata. We deal in Maruti cars, Honda cars, Hyundai cars & all types of second hand cars in Kolkata.